PROJECT MAYHEM: Chris Eboch on Self-Publishing and Middle Grade Novels: Should You or Shouldn't You? Chris Eboch on Self-Publishing and Middle Grade Novels: Should You or Shouldn't You? Yesterday I discussed self-publishing as it applies to children’s books, sharing my experiences as both a traditionally- and self-published author, and mentioning some of the challenges and benefits to self-publishing for middle grade readers. Let’s continue the analysis. Self-publishing can be especially appealing to authors with out-of-print books. Even if sales are low, you have the satisfaction of knowing the books are still available, and you can bring copies to sell at school visits. In addition, if you have 10 backlist books each earning $500 a year, that adds up. You may have to have the book scanned or re-typed, though, if you don’t have the final digital version. New art and book design also add costs, unless you can get permission to use the originals. I also know several authors who are interested in continuing series dropped by their publishers. 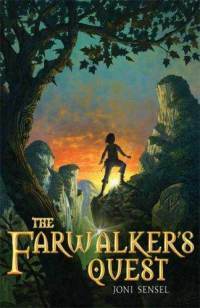 Fantasy novelist Joni Sensel published the third book in her Farwalker’s Quest trilogy, The Skeleton’s Knife. She cared less about sales numbers than about making the book available to her fans and finishing the story she started to tell. Still, she recently reported that sales had significantly exceeded her (low) expectations. She is still pursuing traditional publication, but also considering self-publishing new works that may not be high concept enough to interest a publisher. I recently published the fourth book in my Haunted series, about a brother and sister traveling with a ghost hunter TV show. 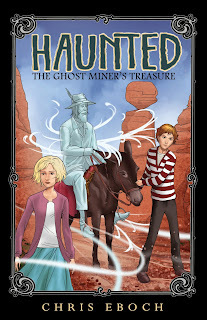 I had written The Ghost Miner’s Treasure before there was a changeover at the publisher and they dropped the series. In the week before I released it, I had e-mails from a librarian, a teacher, and a kid, all asking where book 4 was. Having the first three books traditionally published is like free advertising for the fourth. As a side note, my best indie moneymaker so far is Advanced Plotting. Since I have some reputation among children’s book writers as a workshop leader and critiquer, I drew on those contacts for sales and publicity. 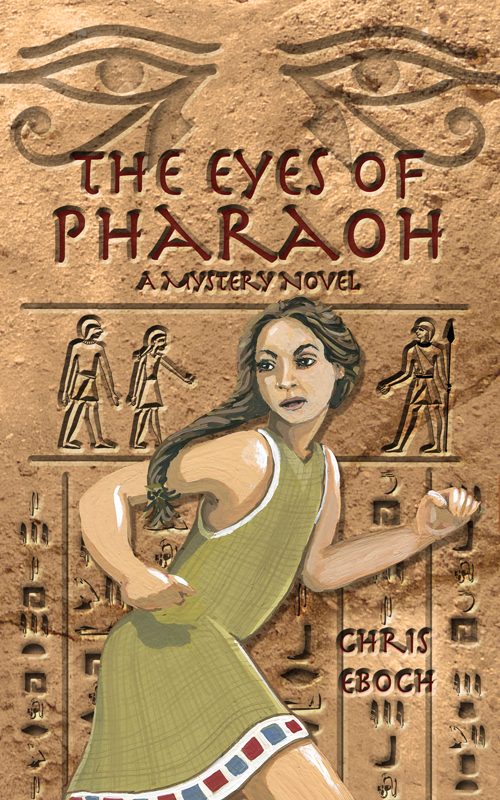 Although the book hasn’t sold as many copies as The Eyes of Pharaoh (209 e-books and 102 POD in 2012), it’s priced higher and thus has a higher profit margin. People are used to paying more for a writing guide than for a paperback novel, so at $10 print, $5 e-book, this seems like a bargain. Good questions to ask yourself if you are considering self-publishing are: Who is my audience and how will I reach them? What’s the competition and will readers want my book instead of/in addition to others available? How will I price this book, given production costs and perceived market value? I don’t think the choice between traditional and indie publishing is clear right now. A good contract with a publisher definitely has its advantages, if they can get your book into schools and libraries. However, I expect the balance to shift in the next few years, as self-publishing becomes more accepted; review journals and blogs help people find the best books; and e-readers become more common for all ages (the latter is important because e-books can be priced much lower than print, encouraging readers to take a chance on an unknown author, and hopefully increasing book sales overall). On the other hand, self-publishing requires an enormous amount of time, and the learning curve can be steep, especially for those who are not technically adept. (You can download my Indie Publishing Worksheet from my website, for an overview of what is involved.) Many authors do not want to handle the production and marketing side of publishing; they want to be writers rather than businesspeople (although every author who hopes for publication should really be both). Self-publishing can be expensive, especially if you do it right, which typically means hiring a professional editor, proofreader, cover artist and book designer. Publishing books that are not yet ready for prime time can damage your reputation and waste your money. Plus, self published authors have the most success when they have multiple books out – like more than five – because each book advertises the others. If you only have one or two polished manuscripts, it may be better to submit them traditionally while you produce new work. You could hold onto your manuscript and plan to release them in the future, but keeping your rights has to be balanced against starting to build a fan base now (and maybe getting some advance money so you can afford the time to write more books). These are tough questions, and no one path is right for everyone. The typical author of the future may be a hybrid – releasing some books traditionally and others independently. Though indie publishing may not be the best answer for everyone (especially with children’s books), it’s opening new avenues. That’s good for authors, so long as we study the possibilities and make smart decisions. 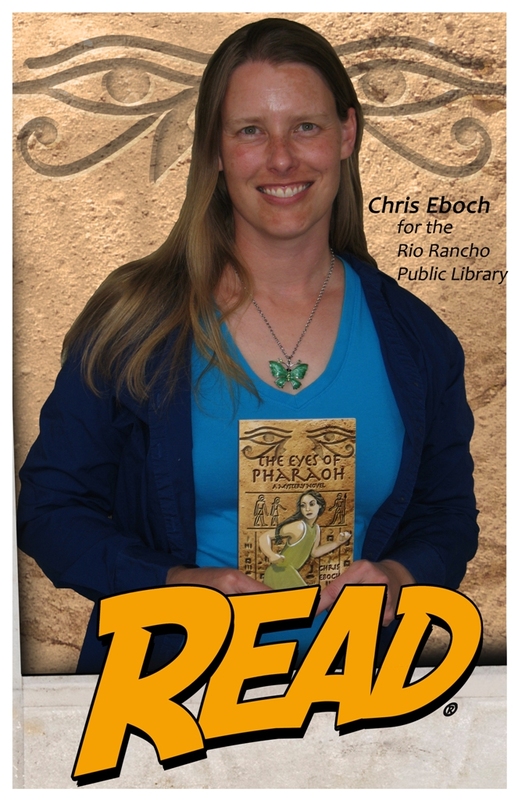 See Chris Eboch’s children’s books on Amazon, Barnes & Noble, or Smashwords. See Kris Bock’s romantic suspense books on Amazon, Barnes & Noble, or Smashwords. • Traditionally published authors who want to make out-of-print titles available again. • Published authors who wish to release books in a series that a publisher has dropped. • Professional writers who have a book that doesn’t suit the current market, but may still find a modest audience. • People who have a marketing platform for distributing their books, e.g. they do a lot of speaking on a professional topic and can sell books at their talks (best for nonfiction). • Amateur writers who want to make a title available in print form for their family, such as memoirs or family genealogy, or a child’s favorite story. You retain all rights to your work. You can earn more per copy sold. You get to make decisions about cover art, pricing, content—basically everything. If the book does extremely well, you may interest a traditional publisher. You get to see your book in print in a few months, instead of several years if ever. You get no advance. You may sell few copies and make hardly any money—ever. You have to make all the decisions about cover art, pricing, content—basically everything. A poorly written/edited/designed book can hurt your reputation as an author. To produce a professional-quality book, you will have to spend hundreds or thousands of dollars and dozens or hundreds of hours of time. You have no marketing support from a publisher. Your book will not be available in bookstores. Self published books don’t count toward membership in most professional organizations. Many conferences won’t let you sell them in the bookstore. Top Ten Self-Publishing Blogs of 2012, from The Future of Ink. ebookery:101, downloadable from Booknook.biz, is user-friendly with lots of images, showing what ebooks look like, how they function, etc. 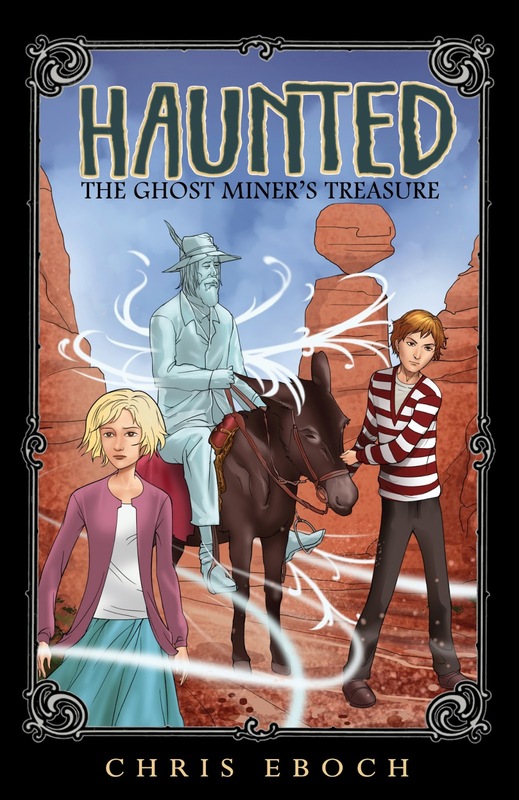 Haunted: The Ghost Miner’s Treasure ebook is discounted to 99 cents today through Friday at Amazon, Barnes and Noble, and Smashwords. Thanks for sharing your advice on this, Chris. It's exciting that there are options out there besides traditional publishing. For me right now with work and family, I couldn't handle all the jobs of self-publishing. But I'm not closing the door on it. Still, it's HARD to embrace the options when most of them you just can't afford to do for yourself. I think a lot folks who are against are just jealous because they WISH they could afford to do it, for whatever reason. Chris, though you made the point in your previous post that it's better to be ahead of the curb than left behind, it's not as simple to execute that ideal, even if you understand it. We confuse lack of money with lack of will FAR too much, IMHO. I like how this post lays out the options so clearly. Thanks, Chris. Yes, money is a big issue. I've managed to produce my books cheaply because a) I have an art and design background, so I could help with cover design and do the interior formatting myself; b) I have skills I can trade – I did manuscript critiques in exchange for proofreading and cover art. But not everyone has those options. If you can't do things to professional quality yourself, you have to hire others, and there are far too many companies that are anxious to charge uninformed authors way too much. As much as I appreciate the advantages and possibilities of self-publishing, I think for the majority of children's book authors, you're better off going for a traditional contract – at least until you have several books out there, a reputation, and some money in the bank to invest in self-publishing new work. Neither path is automatically better or easier; they are just different. There is still no secret, magic key to success, let alone riches and fame! Blind faith only gets you so far. can't attract an agent or a publisher? With so many publishers only wanting to deal with writers with agents, and agents being far more picky than even the young readers writers who come here, myself included, want to have: What would you advise? Sorry if you're just being blunt, but I don't think inciting someone wanting a "magic key" is necessary. This is process is frustrating and disconcerting regardless. That said, you are fortunate to have experience on both sides of this process, I imagine that helps you, too. Okay, here's the blunt truth – the market is so incredibly competitive today that you have to have exceptional work. Not just good. Not even great. But ideas that are fresh and marketable, with strong writing and perfect technique (grammar, spelling etc.) to back it up. Writers are typically terrible at judging their own work. Friends and family are even worse. Critique groups can be better, but only if the members have lots of experience as professional writers and writing teachers. Sadly, good work doesn't always get published, despite what editors would have you believe. They may not see it as marketable enough, because it's "too regional" or in a less popular genre. However, I've worked with hundreds of students and critique clients, and I have never seen a manuscript come to me that was ready for publication. Some of them I believed were ready after revisions based on professional advice. Many would never be publishable, because the ideas weren't strong or original enough. Many needed so much work that they were fine as part of the learning process, but not something that should ever have been submitted. I think sometimes the writing industry does writers a disservice by being *too* encouraging, making it sound simpler than it is. To start over in any other career, you would likely have to go to college for at least four years – full-time, mind you – and then work your way up from the bottom. Writing is no different. So, my best advice for someone who is not getting any attention from editors or agents – keeping in mind that I've never seen the writing itself – would be to work more on your craft. Chances are you still have room for improvement. Another problem can be the quality of the query, since often you can't even get someone to read your work without impressing them with a query letter. If you can't get past the query letter stage, work on the query. If they're reading your opening pages and not asking to see more, work on your technique. If they are requesting the whole manuscript and then turning you down, work on your ideas and plot. Lack of money hurts writers while they're trying to learn their craft as well, because they may not be able to afford classes, workshops, etc. And yet you need to invest in your career, just like you would need to invest to become a nurse or paralegal. Apply for grants and mentorship programs, try to set aside a few dollars every month to save up for a class or professional critique, look for free or discount local options, like writers talks at bookstores or libraries, or online options. The Institute of Children's Literature has a lot of information available online to nonstudents, including great workshops through their Writers Retreat Discussion Boards – http://www.institutechildrenslit.com/rx/index.shtml – take a special look at scheduled events. Ultimately, getting a professional critique by hiring an editor or signing up for a conference critique can be the best way to find out whether your work is really ready, but there are lots of cheaper options for studying the craft. This blog has had – and will have more in the future – a contest where prizes can include a critique of a few pages. Yes, it's hard. It's frustrating and discouraging, whether you're unpublished or well published. Sometimes (often) it seems impossible. Even with multiple books published and steady work-for-hire clients, I struggle to pay the bills, let alone have the kind of career I'd like. The same is true for most published writers I know. But if it's important to you, keep trying – but focus on the craft of writing before you pound your head against the wall of publication. If you haven't been able to attract an agent, consider taking a year off from submissions to focus on improving your writing. Focusing on the process, rather than the end result, may relieve some of the stress. Not all of this advice will be applicable to every individual. But it's the best general advice I can give, based on 20 years experience in publishing. Thanks for at least for replying, Chris, and being understanding. I try so hard to keep a positive outlook, but some days it eludes me. Curious about how much a best selling self published author made? Thanks for sharing those links! Sharing information is the best way to help others make the right decisions for them. I really enjoyed your post. As an Aussie Middle Grade Indie Author, I have to say that my decision to self publish came with a great deal of hard work, tearful learning and expenditure of money but it was incredibly worth it. I have recouped my outlay and made a profit, which I never ever expected to do after reading so much about how Indie publishers rarely sell more than 100 books. For me, the two most crucial steps to get my book selling were first to have a great cover, and second, I chose to go with Kindle Direct Publishing and Createspace exclusively. This is quite controvesial amongst the author world but as an unknown it got my book ranking on Amazon, making sales and borrows and garnering reviews. I am now a co-host of a great Kidlitbloghop over at www.motherdaughterbookreviews.com and have found some wonderful bloggers, readers and authors who love Middle Grade books as much as me. Thanks for giveng us usefull information about self-publishings . What Forthcoming MG Novels Are You Excited About? If I Don't Know What's Wrong, How Do I Fix It??? Can You Make a Living from Writing?